Russell Wilson only played for one year at the University of Wisconsin, but he made quite an impression. Wilson remains such a popular figure in Madison that he’s been invited to speak for the UW’s spring commencement in May at Camp Randall Stadium. Wilson will appear at the same home field where he led the Badgers to a Big Ten title and a Rose Bowl bid in 2011. Wilson played three years at North Carolina State and flirted with a baseball career before deciding to complete his final year of college eligibility in football at Wisconsin. 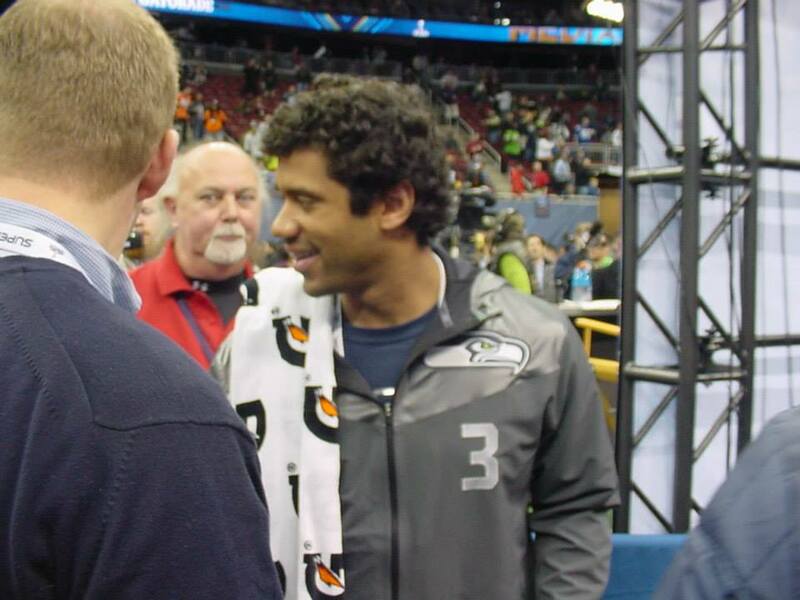 He’s been Seattle’s starting quarterback in the NFL for four years and helped the Seahawks win a Super Bowl in 2013. Seattle Seahawks quarterback Russell Wilson tossed three first-half touchdown passes to lead Team Irvin to a 49-27 win over Team Rice in the NFL’s Pro Bowl game on Sunday in Hawaii. The former Badger was the first player picked in the all-star game’s draft. His touchdown passes went 14 yards to Atlanta’s Julio Jones, tw0-yards to Atlanta’s Devonta Freeman and 10-yards to Rams running back Todd Gurley. Green Bay Packers linebacker Clay Matthews, guard Josh Sitton, fullback John Kuhn and linebacker Julius Peppers all played for Team Rice. Matthews led the way with six tackles. Kuhn caught three passes for 17 yards. 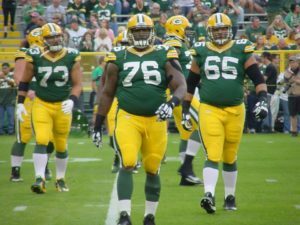 Packers associate head coach Winston Moss served as coach of Team Irvin, taking over for Mike McCarthy who stayed back home in Green Bay because of illness. Green Bay Packers linebacker Julius Peppers has been named the NFC’s Defensive Player of the Week. 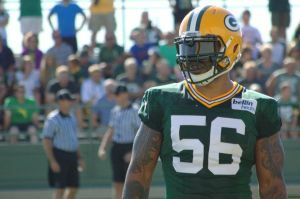 Peppers had a 49-yard interception return for a touchdown, a half-sack and three tackles in the Packers’ 42-10 win over the Minnesota Vikings last Thursday night. Peppers became the only player in NFL history with at least 100 sacks (120) and 10 interceptions (10). Peppers was part of a defensive unit that registered six sacks, two interceptions and a 45.8 opponent passer rating against the Vikings. Green Bay allowed just 299 total net yards, including 188 passing. In his 13th year from North Carolina, this is Peppers’ sixth career Player of the Week Award and first as a member of the Packers. 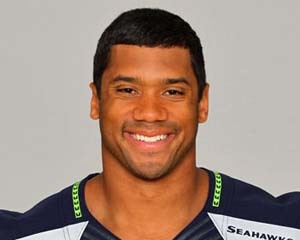 Former Badger Russell Wilson was named the NFC’s Offensive Player of the Week and San Francisco kicker Phil Dawson is the NFC’s Special Teams Player of the Week. Wilson is getting divorced from his wife, Ashton. They had known each other since attending high school in Richmond, Virginia and reportedly started dating in college at North Carolina State, where Wilson played football and baseball before transferring to Wisconsin in 2011. The two were married Jan. 14, 2012 in Virginia. Wilson led the Seahawks to the playoffs in his rookie season and followed it up last season with a Super Bowl championship. from April 1 through June 30. Kaepernick is one of seven quarterbacks in the top 10 in sales for 2013. Kaepernick’s rise ends a year of jersey sales dominance for Robert Griffin III. 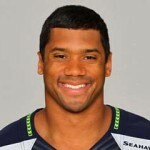 Seattle’s Russell Wilson is second and RGIII third. Adrian Peterson is fourth and Peyton Manning rounds out the top five. The second five, Ryan Tannehill, Tom Brady, Ray Lewis, Aaron Rodgers and Brian Urlacher. Super Bowl winning quarterback Joe Flacco’s jersey is buried at number-25. Lambeau Field after last hosting the Cardinals during the preseason in 2011. In Week 2, Green Bay travels to St. Louis to face the Rams. The last time the Packers visited St. Louis for a preseason game, it was to face the St. Louis Cardinals prior to the 1983 season. CBS will broadcast the third preseason contest against the Seattle Seahawks and will feature a rematch against former Badger quarterback Russell Wilson. 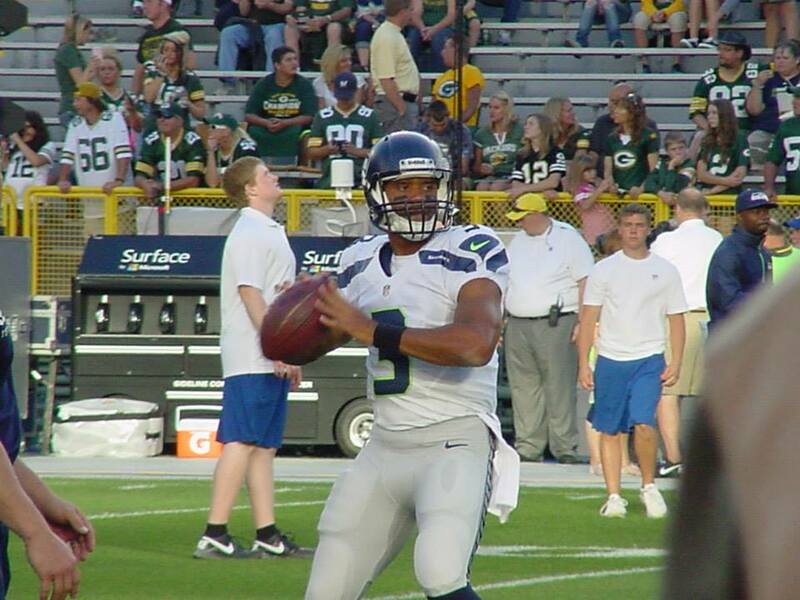 Wilson first faced the Packers on a Monday night last season, a game the Seahawks won. The third preseason game is generally the game in which teams play their starters the longest. The Packers will wrap up exhibition play with a road game at Kansas City, the fourth straight year the teams will have met in the preseason finale and the second time at Arrowhead Stadium. Green Bay Packers Head Coach Mike McCarthy and the rest of his staff were part of Pro Bowl history Sunday. They led the NFC to a record 62-points as they picked up a 62-35 win over the AFC in Honolulu. 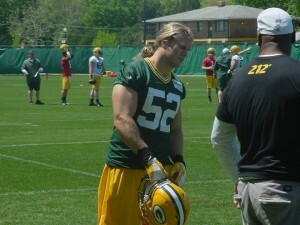 Two Packer players represented the team; C Jeff Saturday and G Josh Sitton. Sitton got the nod thanks to the San Francisco 49ers making it to the Super Bowl as he replaced Mike Iupati. It was Sitton’s first Pro Bowl appearance. 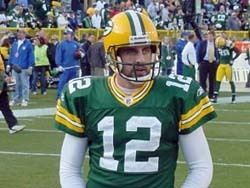 QB Aaron Rodgers and LB Clay Matthews were each named to the game but did not play due to injury. Saturday was involved in one of the more memorable moments of the game. For one play, he went on the field with the AFC offense to snap the ball to longtime Colt’s teammate Peyton Manning. The two played together for 13-seasons in Indianapolis. Saturday announced earlier in the week that he would be retiring after the game, his 6th Pro Bowl in 14 NFL Seasons.